With offices around the country, Virgin Media has more than 20 years’ experience in providing communications solutions to businesses of all sizes. Whether you’re after the latest devices, a budget-friendly solution, or advanced security, we’ll help you learn more about what Virgin could offer your small business in terms of mobile phones and plans. Click the links above to be taken straight to that particular section. Or, for a more detailed guide to Virgin mobile business products, read the whole article. Virgin business mobile plans are charged on a monthly basis, with prices starting from £22 per month. The type of plan and its price depends on both the model and the amount of storage the phone has, as well as the make (e.g. Apple, Samsung). Prices for businesses are subject to VAT (20%). Virgin Media mobile business offers Apple or Samsung devices. Samsung phones are available with either 128GB or 512GB storage. There are more options for Apple models, as you can choose from 64GB, 128GB or 256GB amounts of storage. Virgin Media offers contracts on either a 24 or 36 month basis. The monthly price depends on storage, device type, and data, as well as contract length. Calls in the UK to UK landlines are included in the plans, as well as calls to UK mobile networks. The texts and data amounts are for UK use only as well. The plans include data amounts that can be rolled over once to the next month – so you can’t roll January’s data on to March, for example. To learn more about Virgin mobile plans for your business, click here. Virgin Media is a major provider, and a well-known, established brand. It works with start-ups through to big businesses, in both the private and public sectors. This covers a variety of industries, including digital, financial, health, and leisure, as well as the trades – if you’re a builder or an electrician, for example. Virgin Media separates its business offering by size, with solutions available depending on the number of people. These include Small (1-20 people), Medium (20-250) and Enterprise (250+ people). Whatever size operation you run, its solutions are tailored to your business’ specifically. Virgin Media offers up-to-date handsets, and many phones don’t require any up front payments. Plus, there’s the option of a sharer plan, which allows data to be shared between your business’ multiple devices as required. Devices with a range of different memory sizes are available, from 64GB and 128GB, through to 512GB, depending on what your business needs. Different contract lengths are available too (24 and 36 month options), and there’s a similarly broad range of plans, with each based on the amount of data on offer. You can keep your current mobile phone number. Or, if you’ve already got a device, SIM-only options are also available. Virgin Media offers a flexible service – it’s easy to change your data plan on a monthly basis, meaning you can increase or decrease the amount as and when your business needs change. Operating on a 4G network, Virgin says it offers 98% population coverage across the country – making it faster on average than other popular networks, including Three, O2 and Vodafone. And, as Virgin Media offers internet and phone systems too, you can opt to have all of your business’ communication requirements handled by one provider. With incentives on broadband options when buying business mobile plans, it could save your business time and money to streamline your communications and go through one provider. Click here to explore the range of Virgin business mobiles and discover the benefits for yourself. Virgin Media offers Apple and Samsung devices for business mobile customers. Here, we profile selected devices from the range based on price, offering options for all businesses, whatever your budget. The question is, which device is right for your small business? We list three phones and their key features to help you decide. Released in 2015, the Apple iPhone 6S is one of the older iPhones currently available on the market. However, with the features you’d expect from an iPhone and a budget-friendly price tag, the Apple iPhone 6S may be a solid choice for start-ups. 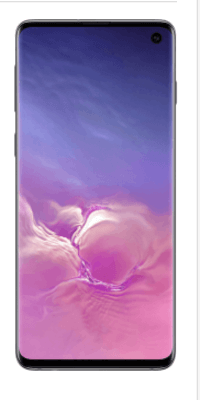 For those small business owners looking for an Android device, the Samsung Galaxy S10 offers features that may be appealing for business use, including advanced security functions. This could be an ideal option for small business owners who are looking to step up their business’ mobile usage. 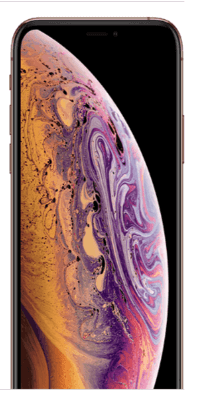 Offering one of the latest, most luxe smartphones, the Apple iPhone XS Max has enhanced the features iPhone users know and love. Its high-end design and improved functions could work well for growing businesses. Like the look of these? Find out more about Virgin business mobile deals here. From reading this article, you’ve learned more about Virgin business mobiles, including the different types of plans and mobiles that are available to business users. Next, explore our business mobiles channel for more information. Or, click on the links above to discover purchase options for Virgin phones.